You're receiving this email because of your relationship with Orca Network. 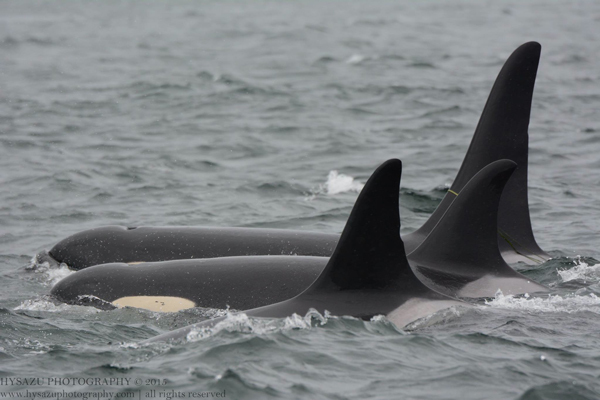 January 2, 2017 Center for Whale Research staff announced the sad news that J2, affectionately known as Granny, was missing and considered deceased by years end 2016. J2 lived a very long life in her natal home waters of the Salish Sea, the Pacific Ocean, and places beyond. 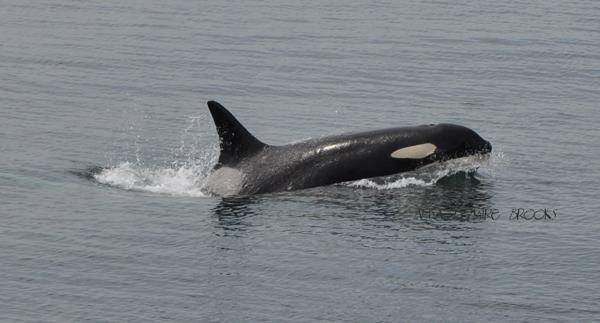 Born in the early part of the 20th century, J2 grew from her precious small little self to assume the role as elder matriarch of J clan (J, K & L pods), guiding them to whatever fish was to be found while passing down centuries-old customs and knowledge passed on to her by her elders as a young member of her tightly bonded tribe. She is deeply loved and admired, her absence is unimaginable. With heavy hearts we remain resolute in our determination to repair and replenish their world, every beings world. 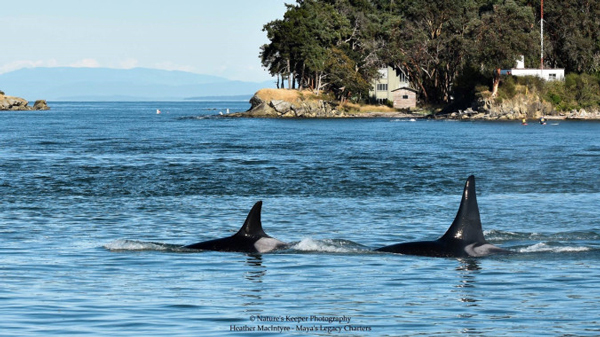 Our loving thoughts are with all of members of J, K, and L pods of the endangered Southern Resident killer whales, especially L87 Onyx who has traveled closely by her side these past many years, and to all who have opened their hearts to her. Well, we knew this day would come, and each year that she returned with the rest of J pod brought us closer to this inevitable moment. 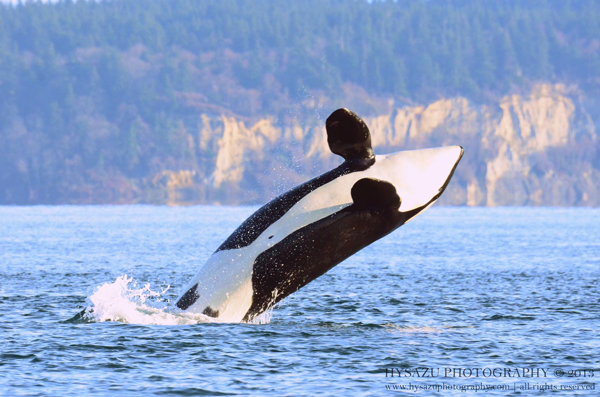 With heavy hearts we have to say goodbye to yet another southern resident, perhaps the most loved and known to all and the oldest orca to date: J2 also known as Granny. 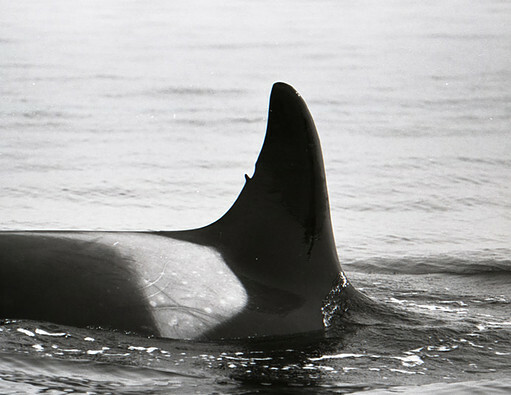 My first acquaintance with the southern resident killer whale designated J2 was on April 16, 1976 in Admiralty Inlet, Puget Sound is a moving memorial with photos by Ken Balcomb, Founder and lead Scientist, Center for Whale Research. 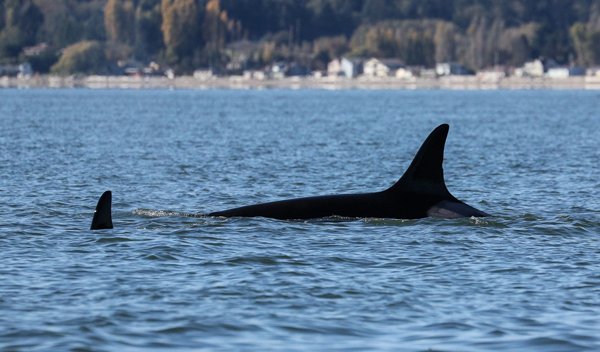 "...by year's end she is officially missing from the SRKW population, and with regret we now consider her deceased. 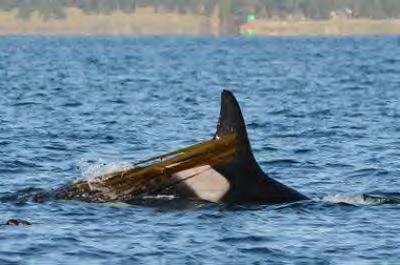 The SRKW population is now estimated to be 78 as of 31 December 2016, and J pod contains only 24 individuals plus the wandering L87." J2 Granny and J1 Ruffles October 20, 2010 in Admiraly Inlet, just a month or so before J1 Ruffles went missing. J2 in Saratoga Passage - One of her last visits into Puget Sound. Christmas morning, 2013. This was uncropped and taken from the beach near my then-home. It will be my more treasured gift from her. I have heard many people use many words to describe Granny (J2). Awesome. Impressive. Epic. I have thought the same things about her, those and more. At the end of a year filled with unnecessary loss we bid farewell to a life long in the making and whose memory will be even longer in the retelling. She was a leader. A mother---in every sense of the word, to generations of her kin. She was a teacher, a companion, an icon. This day was inevitable though that does not help to dull the pain of her passing. For years I would watch for Granny every spring and the sigh of relief that accompanied that first sighting of her was always a welcome one. 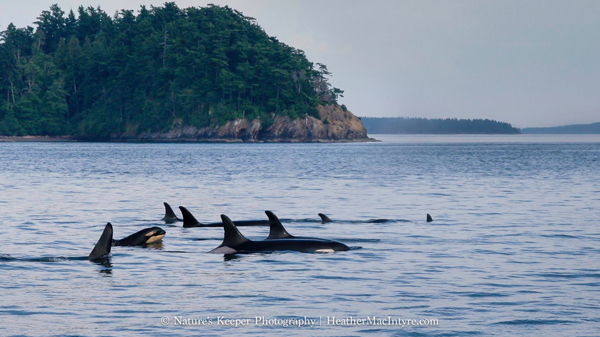 As the years passed, for no other reason than out of time and habit, I began purposefully searching out that familiar notched dorsal fin every time I was in the company of J-pod. I would think myself silly when I saw her, as present as she always was, but I would be grateful she was still with us all the same. This fall was my last encounter with her, though I wouldn't know it at the time. It was sunset, the wind was picking up but it was still warm as the last bits of a long summer had not yet been chased away by a swiftly arriving fall. 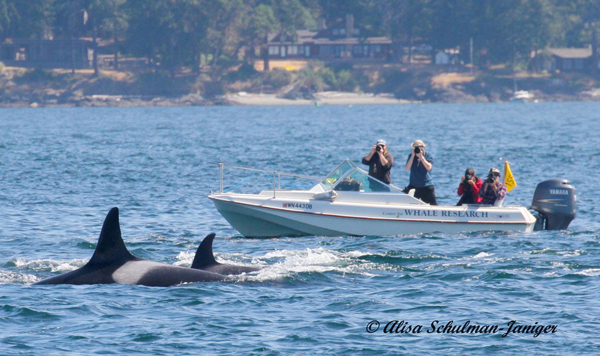 I was at Lime Kiln with some of those people who are dearest to me when the whales arrived from the north. The waves seemed to excite the whales as they breached, cartwheeled, and tail slapped their way down island. Suddenly Granny was there, right in front of us, closer to shore than many and in the company of her youngest great-granddaughter, Suttles (J40). The two surfaced once, twice, a third time, and then disappeared to the south, gone as quickly as they had come. I sometimes wonder what I would have said or done had I known that was the last time I would see her. Would I have changed anything? Every moment spent in her presence was one in which she taught me something new. Over the years I learned, and I suspect many others did too, a variety of lessons from her, both great and small. She taught us patience. She showed us how to lead by example. How to listen to each other, to the world around us, and to our own hearts. And she taught us how to throw ourselves skyward for the sheer joy of it every once in a while, for the heck of it, just because we can. Even in her death Granny leads by example----'This is how it should be,' she tells us, even now. 'This is when we should be parting ways...at the end of a long life.' The tears in our eyes and on our cheeks are for the loss of a whale---a beloved friend---who has led a life whose length alone is worthy of remembrance and of celebration. The times ahead are ones I cannot predict, for I do not have the gift of foresight. But whatever they bring---be it triumph, tragedy, or something in the middle---may we face them with the same tenacity and dignity as Granny. She lives on in the whales that still remain, in the calves that have yet to join us. She lives on in our hearts, and more importantly in our deeds. She is epic and awesome and impressive and she will always be. J2 powering northbound in Haro Strait - Lime Kiln State Park, San Juan Island. J2 and faithful, adopted son L87 Onyx. I don't know what he will do now, but I have faith that he will find his way. J2 with members of her clan. From the youngest to the oldest, the circle of life continues. 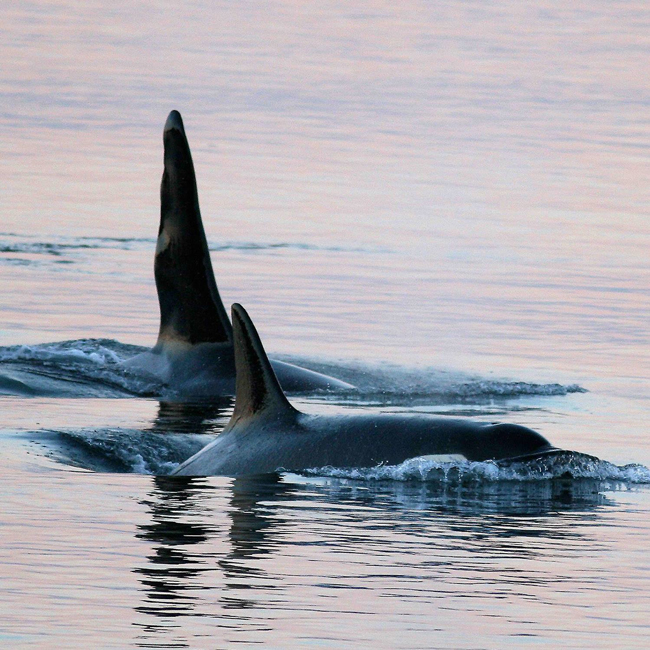 J2 leading the way in Haro Strait. Dave Ellifrit (left), Center for Whale Research (and guests), one summer day. 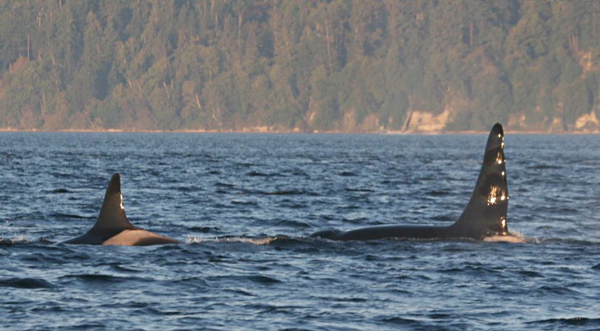 Beautiful J1 Ruffles and J2 Granny in the still waters of Haro Strait gliding northbound just off the rocks at Lime Kiln State Park one late Summer's early morning. J2 draped in her cape of kelp. Farewell beautiful grand matriarch, you will forever be remembered with the deepest love and affection. In 2006 M.L. Lyke wrote a six-part series about the life of J2 Granny for the Seattle Post-Intelligencer, telling her life history, the changes and traumas she experienced over the decades. "The Great Salish Sea" is written from the perspective of the 104-year-old matriarch "Granny" of the resident orcas and depicts how the sounds of boats have changed over the last century, from Native American canoes to large sailing ships, and now to today's giant freighters and tankers. Ongoing candlelight memorial for the SRKWs lost in 2016. J34, J54, J28, J14, L95, J55, & three unnamed neonates. Our heartfelt condolences to J2's entire family and entire clan, J, K, & L pods, for the many losses they have endured in 2016. 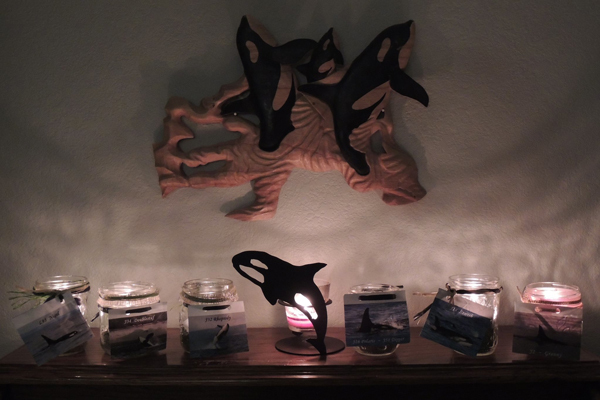 With Love, the staff and board members at Orca Network/Langley Whale Center.